Fine Art Photography Books at Photography West Graphics. Morley Baer (1916-1995) worked in photography with a quiet perseverance for nearly fifty years  often alongside such legendary associates as Ansel Adams and Edward Weston. His unwavering dedication to the large format 8" x 10"camera and painstaking meticulous contact printing resulted in images of exquisite detail, tonality and unusual nuance. These photographs comprise an important segment of the American photographic achievement, particularly the West Coast School. Unlike others, notably Ansel Adams, Morley Baer avoided the spectacular in nature. He was the quintessential poet of the commonplace, an artist who illuminated the ordinary in such a way that it becomes unforgettable. Over the years, Baer came to be regarded as one of the countrys greatest architectural photographers, but his fine landscapes  often bordering on the mystical, form a significant focus of his aesthetic contribution. 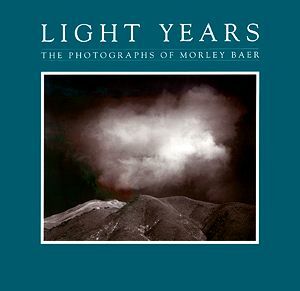 Light Years: The Photographs of Morley Baer, encompassing the entire career of this artist, is a volume with a broad scope and perspective. It presents the full range of Baers mastery with the camera.